A couple issues with my brand new U12. Have you experienced these? and baring in mind my phone is like a few weeks old, i've noticed light bleed at the bottom of the screen when the always on display is on. The brightness of the screen fluctuates (which i don't know if that's normal). This issue arises when it's at its brightest, when the brightness goes down (which then means you can barely see the time on the display) the bleeding isn't happening. Secondly, which i annoyingly discovered after returning from a concert; the audio whilst recording. All of my videos i recorded were distorted. Unusable. Now all my previous phone have handled this perfectly (M7, M9, HTC 10) Why is this phone with 4 mics (!) an issue. Of course HTC tell me to do a factory reset but i wanna avoid that just for now. Has anyone experienced this? I'm wondering if there's an issue with the phone or if HTC cheaped out and all 4 mics are just crap. and lastly, and it's obviously linked to the previous issue, when i record and send voice msgs via FB messenger and Whatsapp the result is a muffled mess. Yet when i record voice with the built in voice recorder it sounds great. I haven't experienced any of these issues. My issues have been with how delicate the thing is. Broke the back within 2 weeks of having it and the screen probably a couple months in but the real crappy part is, the back was easy to find but the screen was a royal pain. It took me probably 3 and half, four months to find one. Being new to the phone if you haven't or aren't is recommend that clear case that comes with it and a tempered glass screen protector. Also I'm not sure a factory reset would help your issues, that's like the standard go to for tech-no support. If your mic works perfectly in any app but then not in another I'd be more inclined to think it was the app. Were you using anything other than the stock camera at the concert? Were you using the 3d sound feature? I'm wondering if the db were too much for the mic (s) and caused the distortion. It shouldn't have carried over after that tho which is why I'm a little miffed. I would probably play around with it and try to find the exact circumstances when the issues arise. 3d sound, only messenger app, were you streaming the concert thru Facebook? Maybe Facebook is your issue. Might try uninstalling it and installing it again. You won't lose anything cause all of your messages and content is in Facebook's cloud, you'll just have to sign in again. Hey! Thanks for your reply. I wasn't expecting one, seems a bit dead around here. I also don't think a factory reset will help, but this is what HTC told me to try. I was using the stock camera yes, the 3d feature is on as standard. The only only options are Audio zoom and hi-res. So frustrating tho. Regarding the recording audio, I had that problem as well using the Sonic Zoom feature, but I find the audio records better using 3D instead. The Zoom seems like a good ideas, but it gets really distorted. 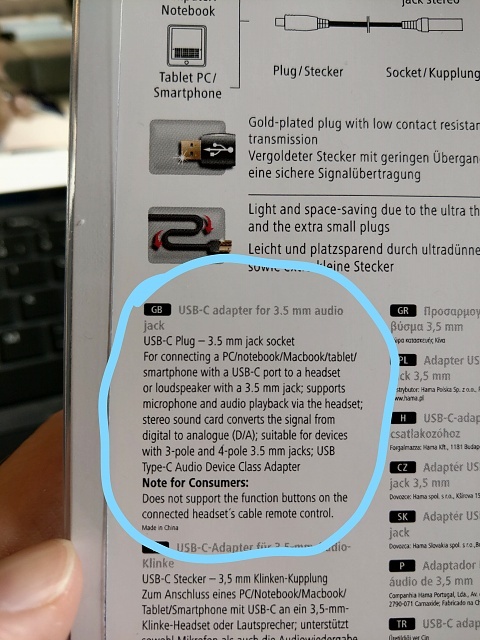 Not sure what to say about your adapter. I'm using the one made by Razer, and it sounds incredible. 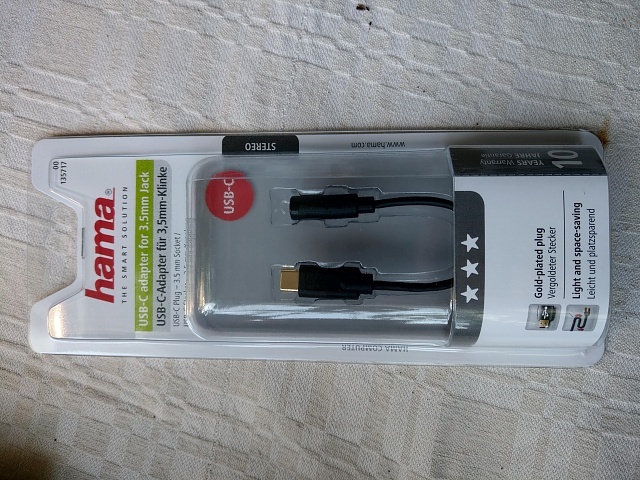 It actually sounds better than the headphones that came with the phone. 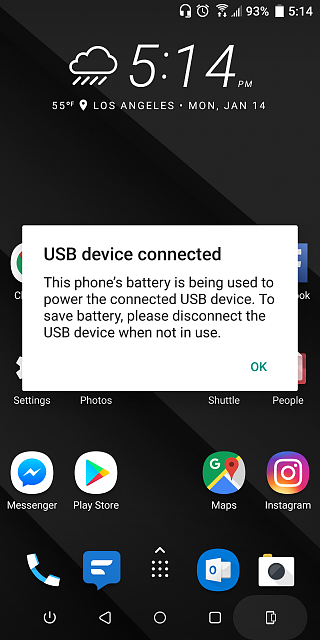 i also get a notification saying the phone is charging the connected device when i put it in the phone!! Oh yeah, it sounds incredible. It also has a built-in DAC, so you may want to check and see if yours does? What has a built in DAC exactly? ok, ,mine has no DAC. I'm assuming this is the reason then? I had no idea about these things having built in DACs before buying! Yeah, not sure about that. And that guy is a hater... it's 20 bucks well spent. I have two of them. Where has the network connection bar gone since my messenger homepage changed by itself? ?